Who are celebrity cancer survivors? The list of these celebrities shows that how famous or rich someone is, doesn't guarantee protection from the disease. It doesn't discriminate whether you are a celebrity or just an ordinary person. But their stories give hope that the disease CAN be beaten and help raise awareness about it. They also share how their experiences as cancer survivors changed them. CHRISTINA APPLEGATE is a famous American celebrity, actress and producer who started in the industry as a teenager. In 2008, a year after her nomination for both Emmy and Golden Globe, she was diagnosed with breast tumor. She was only 36 years old. Her mother is one of the survivors of the disease so the celebrity knew she was at risk. When she turned 30 she went for regular mammograms. One day her doctor recommended MRI because mammogram was not enough to detect tumor because of the density of her breast tissues. A malignancy was found. Christina's initial reaction to her diagnosis was to retreat and to keep mum about her health condition. But she realized "It's hard to live quietly" so she decided to go public. She also realized that her being a celebrity can help create awareness about the disease among women her age who think breast tumor is only for older women. Her doctor recommended 2 types of treatment: lumpectomy and radiation after the surgery. 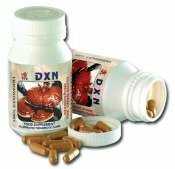 Chemotherapy was not needed because the tumor was at an early stage. Related Article: Breast Cancer Treatment Options: Which Is the Best For You? After the surgery, she underwent BRCA1 gene testing. The test revealed she had the gene mutation. Since BRCA1 gene is linked to breast tumor, recurrence is extremely high. Besides that, the gene mutation is also associated with ovarian tumor so this also puts her at risk for it. She faced 2 options: radiation and lifetime testing or removal of her breasts. She had double mastectomy even if the tumor is still contained in one breast. It was a difficult decision that made her one of the survivors of the disease. But it scarred her physically and emotionally. Cancer changed how the celebrity looks at life. According to her, she used to say no to sweat the small stuff but now she includes the big stuff as well. Something we can all learn to do because the truth is, all those small and big stuff can lead to stress. And effects of stress on your health are not worth it. 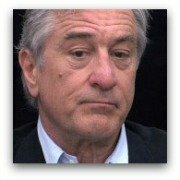 ROBERT DE NIRO is an award-winning famous American celebrity and film actor. He has been in the industry for more than 40 years. He was proclaimed Best Actor for Oscar in 1980 for his role in the movie "Raging Bull". His father died of the big C. Since his father was not one of the survivors of the disease, the celebrity has been proactive when it comes to his health. He had regular check ups. When he was diagnosed with prostate tumor in October 2003, the malignancy was found at an early stage. He was 60 years old. He underwent surgery to remove the tumor last December 2003. The celebrity had a good prognosis to be one of the survivors of the disease because his health condition was excellent and the tumor was at an early stage. 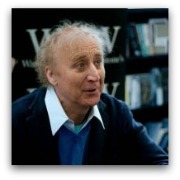 GENE WILDER is a famous and well-acclaimed celebrity, actor, writer, producer and director. His first encounter with the big C was when he lost his wife, Gloria Radner, to ovarian cancer in 1989. Because of her death, he became actively involved with promoting awareness for the disease. After 10 years, the celebrity faced the disease again. This time, as its victim fighting to be one of its survivors. He was diagnosed with Non-Hodgkin's Lymphoma. He underwent 2 types of treatment: chemotherapy and stem cell transplant. He wrote the book "Kiss Me Like A Stranger" where he talks about his mental and emotional struggles he had when he was still young. Gene Wilder is not just one of those celebrity cancer survivors. He is a survivor of life itself in an odd way. Now at 76, he is 100% one of the survivors of the disease as he is in total remission from it. He isn't very active with his acting career anymore. It was as if he has discovered the real kind of contentment that he doesn't worry about anything anymore. Not even his career. I believe that's what comes with being confronted with your own mortality. The priorities of these celebrity cancer survivors shifted as they realized that they can go anytime. 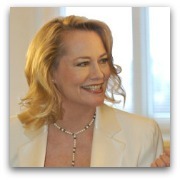 CYBILL SHEPHERD is one of the famous celebrity cancer survivors. She is a talented and beautiful actress who started her Hollywood career in 1971. In 2002, her dermatologist found a scaly patch on her back. She was diagnosed with melanoma, a rare but very deadly type of skin tumor. She was 52 years old. She underwent a disfiguring surgery to have the tumor removed. Her father's death in 2000 due to aneurysm almost drove her to a nervous breakdown. But according to her, her diagnosis with the big C had the biggest impact on her. It changed her. She now prefers peace and serenity in both her personal and professional lives. She regularly meditates. She has moved to a house that is half the size of the mansion she used to live in. She learned to say no to so-so projects because as she says, "What's worth doing? We have limited time. We don't know how long we have! Every day is so precious. My children are so precious. That's why I turn down anything professionally that's not great." Fighting the disease is not easy even for these famous celebrity cancer survivors. After all, they are only humans regardless of how well-known or affluent they are. They have fears and hopes just like each one of us. I believe the most important lesson these famous celebrity cancer survivors have learned is knowing what is truly important.